Own Game of Thrones - 4 Coaster Set from Deff, DVD, Blu-Ray & 4K Video Specialists - Free UK Delivery..
Own Game Of Thrones - Bend the knee Doormat from Deff, DVD, Blu-Ray & 4K Video Specialists - Free UK Delivery..
Own Game Of Thrones - House Stark Glass Stein from Deff, DVD, Blu-Ray & 4K Video Specialists - Free UK Delivery..
Own Game Of Thrones - House Stark Travel Mug from Deff, DVD, Blu-Ray & 4K Video Specialists - Free UK Delivery..
Own Game Of Thrones - Lannister Mug Gift Set from Deff, DVD, Blu-Ray & 4K Video Specialists - Free UK Delivery..
Own Game Of Thrones - Mother of Dragons Mug from Deff, DVD, Blu-Ray & 4K Video Specialists - Free UK Delivery..
Own Game Of Thrones - Shot Glass Set from Deff, DVD, Blu-Ray & 4K Video Specialists - Free UK Delivery..
Own Game of Thrones - Stark & Targaryen Notebook from Deff, DVD, Blu-Ray & 4K Video Specialists - Free UK Delivery..
Own Game Of Thrones - Stark and Targaryen Mug Gift Set from Deff, DVD, Blu-Ray & 4K Video Specialists - Free UK Delivery..
Own Game Of Thrones - Stark Flag 70 x 120cm from Deff, DVD, Blu-Ray & 4K Video Specialists - Free UK Delivery..
Own Game Of Thrones - Stark Giftset (Glass 29cl + Keyring + Mini Mug) from Deff, DVD, Blu-Ray & 4K Video Specialists - Free UK Delivery..
Own Game Of Thrones - Stark Giftset (Mug + Keychain + Badges) from Deff, DVD, Blu-Ray & 4K Video Specialists - Free UK Delivery..
Own Game Of Thrones - Stark Giftset (Wallet + Keyring) from Deff, DVD, Blu-Ray & 4K Video Specialists - Free UK Delivery..
Own Game Of Thrones - Stark Mug Gift Set from Deff, DVD, Blu-Ray & 4K Video Specialists - Free UK Delivery..
Own Game Of Thrones - Targaryen Flag 70 x 120cm from Deff, DVD, Blu-Ray & 4K Video Specialists - Free UK Delivery..
Own Game Of Thrones - Targaryen Giftset (Mug + Keychain + Badges) from Deff, DVD, Blu-Ray & 4K Video Specialists - Free UK Delivery..
Own Game Of Thrones - Targaryen Metal Plate 28 x 38cm from Deff, DVD, Blu-Ray & 4K Video Specialists - Free UK Delivery..
Own Game Of Thrones - Welcome to Winterfell Doormat from Deff, DVD, Blu-Ray & 4K Video Specialists - Free UK Delivery..
Based on the bestselling fantasy book series A Song of Ice and Fire by George R.R. Martin, this sprawling new HBO drama is set in a world where summers span decades and winters can last a lifetime. From the scheming south and the savage eastern lands, to the frozen north and ancient Wall that protects the realm from the mysterious darkness beyond, the powerful families of the Seven Kingdoms are locked in a battle for the Iron Throne. Th.. In the second season of the epic HBO original series Game of Thrones, kings from across the fictional continent of Westeros vie for the Iron Throne. As winter approaches, the cruel young Joffrey sits upon the Throne in King's Landing, counseled by his conniving mother Cersei and his uncle Tyrion, who has been appointed the new Hand of the King. But the Lannister hold on power is under assault on many fronts, with two Baratheons donning .. In the third season of the hit HBO drama series Game of Thrones, the Lannisters barely hold on to the throne after a savage naval onslaught from Stannis Baratheon, while stirrings in the north threaten to alter the overall balance of power. Robb Stark, King in the North, faces major calamity in his efforts to build on his victories over the Lannisters while beyond the Wall, Mance Rayder and his huge army of wildings continue their inexo.. In this thrilling fourth season based on George R.R. Martin’s bestselling books, the Lannisters’ control over the Iron Throne remains intact, but can they survive their own egos as well as the ongoing threats around them? While an unshaken Stannis Baratheon continues to rebuild his army on Dragonstone, a more immediate danger comes from the south, as Oberyn Martell, the Lannister-loathing “Red Viper of Dorne,” arrives at King’s Landing .. The most-watched series in HBO history and a worldwide TV phenomenon, Game of Thrones remains a huge runaway hit, and the fifth season's 12 Emmy Awards are the most of any TV series in a single year. This season begins with a power vacuum that protagonists across Westeros and Essos look to fill. At Castle Black, Jon Snow struggles to balance the demands of the Night’s Watch with those of newly-arrived Stannis Baratheon, who styles himse.. 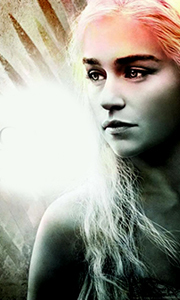 The most-watched serioes in HBO history and a worldwide phenomenon, Game of Thrones remains a huge runaway hit. This year, after the shocking developments at the end of Season 5 - including Jon Snow’s bloody fate at the hands of Castle Black mutineers, Daenerys’ near-demise at the fighting pits of Meereen, and Cersei’s public humiliation in the streets of King’s Landing - survivors from all parts of Westeros and Essos regroup to press f..
Own Game Of Thrones Season 7 DVD from Deff, DVD, Blu-Ray & 4K Video Specialists - Free UK Delivery..
For Seven Epic Seasons the rival houses of Westeros have battled and conspired for the coveted Iron Throne, and for those who can keep their heads, the price has never been greater. Based on George R. R. Martin's Bestselling novels, this Emmy Award-Winning HBO Original series takes us from the heights of Honour to the Depths of Depravity as each adversary pursues their desire for wealth, power and revenge. But as winter draws closer, br..
Own Game of Thrones - Arryn Mug from Deff, DVD, Blu-Ray & 4K Video Specialists - Free UK Delivery..
Own Game of Thrones - Baratheon Mug from Deff, DVD, Blu-Ray & 4K Video Specialists - Free UK Delivery..
Own Game Of Thrones - Drink & Know Things Black Mug from Deff, DVD, Blu-Ray & 4K Video Specialists - Free UK Delivery..
Own Game Of Thrones - Drink & Know Things White Mug from Deff, DVD, Blu-Ray & 4K Video Specialists - Free UK Delivery..
Own Game of Thrones - Greyjoy Mug from Deff, DVD, Blu-Ray & 4K Video Specialists - Free UK Delivery..
Own Game Of Thrones - House Lannister Mug from Deff, DVD, Blu-Ray & 4K Video Specialists - Free UK Delivery..
Own Game of Thrones - House Lannister Travel Mug from Deff, DVD, Blu-Ray & 4K Video Specialists - Free UK Delivery..
Own Game Of Thrones - House Stark Mug from Deff, DVD, Blu-Ray & 4K Video Specialists - Free UK Delivery..
Own Game Of Thrones - House Targaryen Mug from Deff, DVD, Blu-Ray & 4K Video Specialists - Free UK Delivery..
Own Game of Thrones - House Targaryen Travel Mug from Deff, DVD, Blu-Ray & 4K Video Specialists - Free UK Delivery..
Own Game of Thrones - Khal Mug from Deff, DVD, Blu-Ray & 4K Video Specialists - Free UK Delivery..
Own Game of Thrones - Khaleesi Mug from Deff, DVD, Blu-Ray & 4K Video Specialists - Free UK Delivery..
Own Game of Thrones - King in the North Mug from Deff, DVD, Blu-Ray & 4K Video Specialists - Free UK Delivery..
Own Game of Thrones - Lannister Mug from Deff, DVD, Blu-Ray & 4K Video Specialists - Free UK Delivery..
Own Game of Thrones - Lannister Shield Mug from Deff, DVD, Blu-Ray & 4K Video Specialists - Free UK Delivery..
Own Game of Thrones - Logo Mug from Deff, DVD, Blu-Ray & 4K Video Specialists - Free UK Delivery..
Own Game Of Thrones - Night's Watch Oath Mug from Deff, DVD, Blu-Ray & 4K Video Specialists - Free UK Delivery..
Own Game of Thrones - Opening Logo Mug from Deff, DVD, Blu-Ray & 4K Video Specialists - Free UK Delivery..
Own Game Of Thrones - Stark Black Mug from Deff, DVD, Blu-Ray & 4K Video Specialists - Free UK Delivery..
Own Game of Thrones - Stark Mug from Deff, DVD, Blu-Ray & 4K Video Specialists - Free UK Delivery..
Own Game of Thrones - Targaryen Mug from Deff, DVD, Blu-Ray & 4K Video Specialists - Free UK Delivery..
Own Game Of Thrones - Targaryen Red Mug from Deff, DVD, Blu-Ray & 4K Video Specialists - Free UK Delivery..
Own Game of Thrones - Targaryen Shield Mug from Deff, DVD, Blu-Ray & 4K Video Specialists - Free UK Delivery..
Own Game Of Thrones - The North Remembers Mug from Deff, DVD, Blu-Ray & 4K Video Specialists - Free UK Delivery..
Own Game of Thrones - Trial by Combat Mug from Deff, DVD, Blu-Ray & 4K Video Specialists - Free UK Delivery..
Own Game of Thrones - Tully Mug from Deff, DVD, Blu-Ray & 4K Video Specialists - Free UK Delivery..
Own Game of Thrones - Tyrell Mug from Deff, DVD, Blu-Ray & 4K Video Specialists - Free UK Delivery..
Own Game of Thrones - Valar Morghulis Mug from Deff, DVD, Blu-Ray & 4K Video Specialists - Free UK Delivery..
Own Game of Thrones - Winter Is Here - Daenerys Mug from Deff, DVD, Blu-Ray & 4K Video Specialists - Free UK Delivery..
Own Game of Thrones - Winter Is Here - Jon Mug from Deff, DVD, Blu-Ray & 4K Video Specialists - Free UK Delivery..
Own Game of Thrones - Winter Is Here - Tyrion Mug from Deff, DVD, Blu-Ray & 4K Video Specialists - Free UK Delivery..